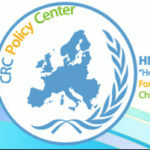 Anna Charalambous is working as an Education Counselor in the Child Development Department of “Hope For Children” CRC Policy Center. She holds the degree of Primary Education of the Frederick University of Cyprus. Through her studies, Anna had her internship in public and private schools. She worked with children (ages between 5-17) with and without developmental disabilities. Anna also attended lessons of Educational Psychology, and Sociology. Anna is a distance learning student at the the Columbia University of New York attending the Master degree in Special Education. 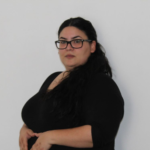 Anna Charalambous worked in public and private institutes/schools with group of children aged 5-17 as a teacher under the Montessori Method. She voluntarily worked as teacher to the community center at Kaimakli, in a group of teachers, with underprivileged children of various ages for education and socialization. From 2016 until June 2017 Anna was participating in school workshops as a volunteer for “Hope For Children” CRC Policy Center.